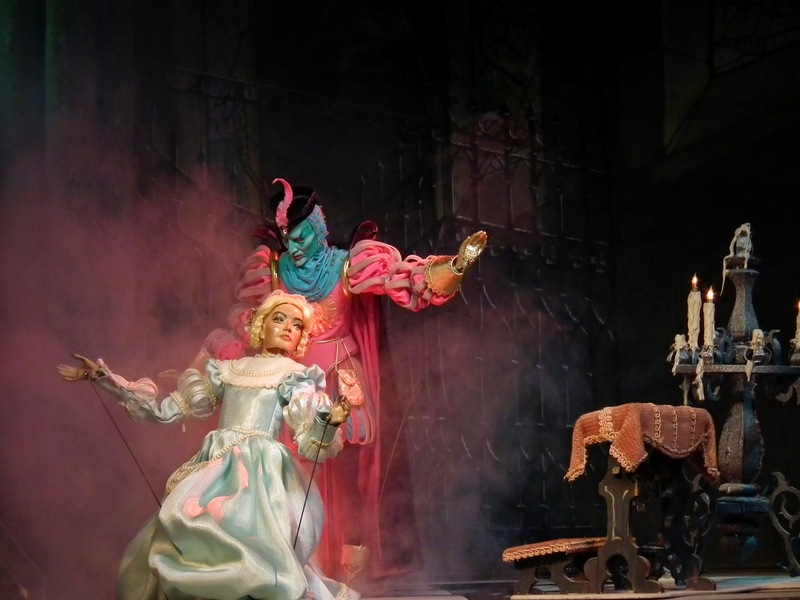 Photos from "Faust," above, and "Lakme," atop blog, courtesy of Opera in Focus. Puppetry Week hit a speed bump today. I had a thoughtful conversation with Blair Thomas, founder of the Chicago International Puppet Theater Festival, all set to go, when my boss asked me Tuesday afternoon to weigh in on the latest developments of this Bolingbrook teen who tried to fly to Turkey and join ISIS. I considered replying, “But my puppetry opus is ready!” But that didn’t seem the path of the hardened journalist, and since the paper hasn’t run the puppet story yet—I’m shooting for Friday—it wouldn’t be right to post it here first and scoop my own paper. So, to keep the week going, I’ve disinterred this 2010 visit to one of the oddest landmarks of Chicago puppetry, Opera in Focus, a rod puppet operation improbably located in Rolling Meadows. No pictures, alas. I’ll post the kid-in-trouble column at 6 a.m. If you want to learn more about Opera in Focus, you can click here. Its season begins Feb. 4 with, fittingly, a program that includes "Aida." includes chariots, horsemen and live elephants. "Aida," I had to be there. Grand Opera, performed at a Swedish restaurant at Rush and Ontario. basement of the Rolling Meadows Park District headquarters in 1993.
apparently -- find new enthusiasts after Fosser's death in 2006? waging a "battle" with Park Ridge over the puppet opera. was charmed by the effort. 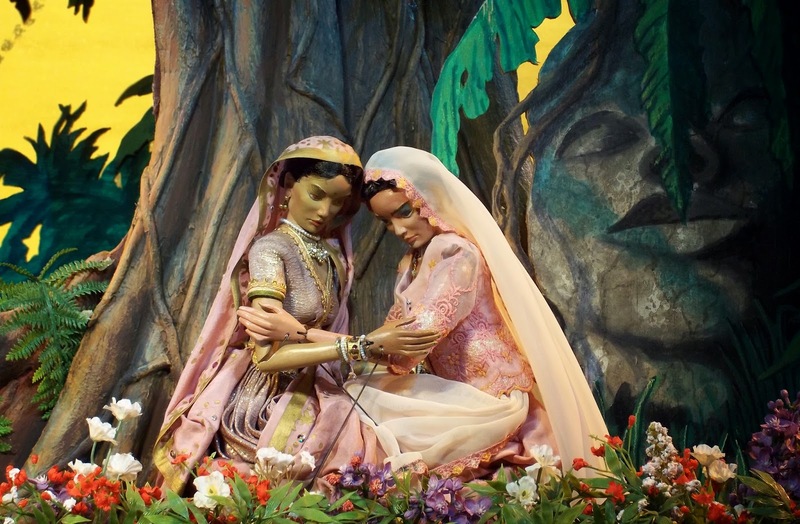 below, 16 inches tall and finely crafted, with lush costumes. food—hors d'oeuvres, cookies, candy and pop—in the small lobby. puppets from other operas at the ready. this obscure realm of low-tech entertainment. Why? "To keep the tradition alive," said Narcisco. highlights. Call to make reservations -- (847) 818-3220, ext. 186. Adult tickets are $12, a buck less for seniors, children are $7.